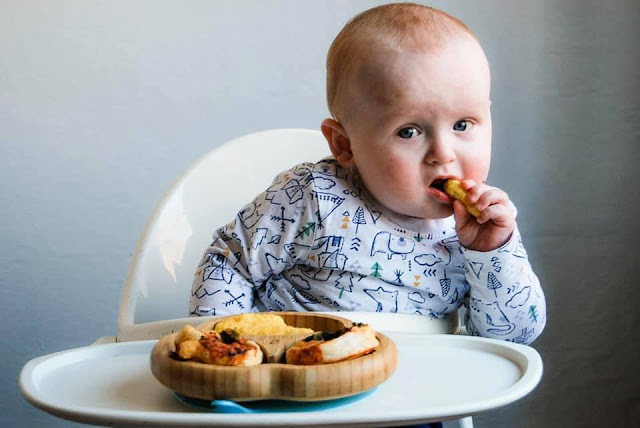 Baby Led Weaning: Tips, Our Favourite Foods, Equipment and What Ru Eats Now. Weaning has been a lot harder than I anticipated. I thought it would be giving Porridge and Purees, then blending what we eat and giving Ru solids to chew on. Boy was I wrong. Rupert was weaned early at four months old. This is very controversial but we did what we thought was right as parents and I will never regret this decision. From day one he has always been a hungry baby and found a huge interest in chewing things at a young age. It took him a while to get into picking up foods, swallowing and meal times in general so I am glad we started early. At Eight months old he is now a fantastic eater. This led me to believe that Ru would be best being baby led instead of traditional, meaning he feeds himself and learns how to feed himself with little help (expect for spoon fed foods such as yoghurt, porridge etc). Start off with one very simple food, something that isn't an overpowering taste and that is easy to digest. Porridge is great, We used banana to add a little flavour. Give that one food at the same time, if you can, every day. We started with breakfast at 8am every morning with Porridge. Try and give the food in the same surroundings. We used to put Ru in his High Chair in the Dining Room every morning at 8am, he soon realised when he was in there he would be eating. When introducing new foods repeat the same single food for three days consecutively. If your child has an allergic reaction it will be easy to pinpoint where it came from. 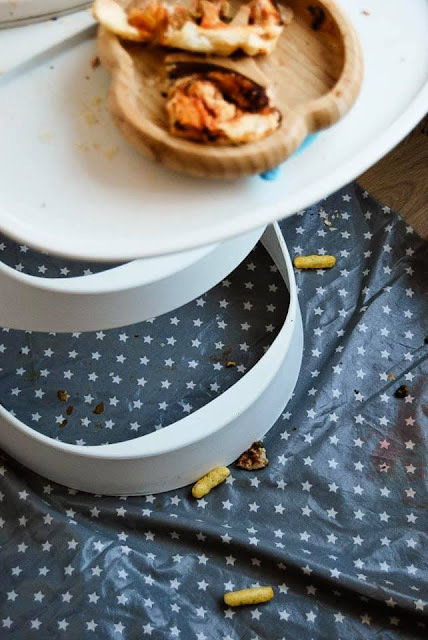 If you are choosing to use Baby Led and your child is making a lot of mess, Don't tidy as they eat. Picking up and giving them food back may send across the message that it's okay to make a ton of mess. They'll quickly learn that if they throw food on the floor they can't have it back to eat later. It's a little mean but it'll be for the best in the long run. Encourage eating a huge variety of foods. This is a massive things for me because I am a picky eater and don't eat a long list of foods. I have started buying foods in the food shop that I would never normally buy like Avocado and Butternut Squash so that he can try a variety of flavours. Not every baby is the same. Rupert point blank hates foods with lumps or that are a thick consistency, he will instantly be sick even if I haven't put it in his mouth. We've just learnt to work around it. 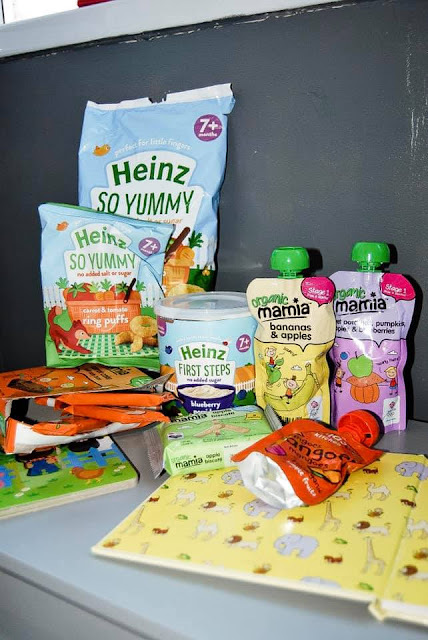 Mamia by Aldi are fantastic for Weaning your little one. They do a huge variety of purees (in pots or squeezable packet), Biscuits, Fruit and Oat bars and Snacks. We weekly shop in Aldi so it was only right that we got our baby food from there too. Rupert tends to have what we eat and in the early stages had pureed fruit that I made myself. However, these are fabulous for days out and trying new flavours. When we introduced flavours like Mango we would get a single sachet try it out on him in various forms such as on its own or mixed into porridge and if he liked the flavour we would buy the fruit and make our own purees. As Ru has gotten older we have been using their snacks, biscuits and Fruit and Oat bars. When we first started Weaning we used Heinz porridge's. These are powdered porridge pots with a free scoop, added to water or baby's milk. These have always been my favourite because I can make the thickness to what Ru likes and they come in a huge variety of flavours. 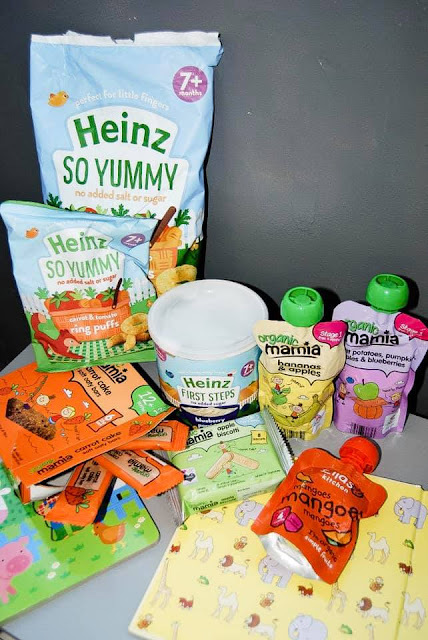 Heinz also do a huge range of snacks which we find perfect for days out and keeping a fully stocked cupboard. 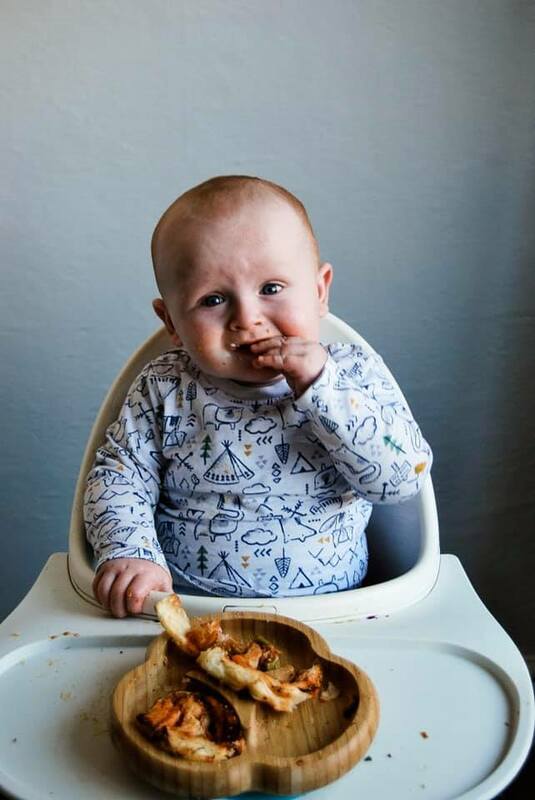 Ella's Kitchen are the brand on everyones lips when it comes to Weaning. We have always loved their products which have followed us from the early days up until now. We always have Ella's Kitchen products stocked in our home because we know they are a firm favourite of Ru's. We know we can trust Ella's Kitchen foods. 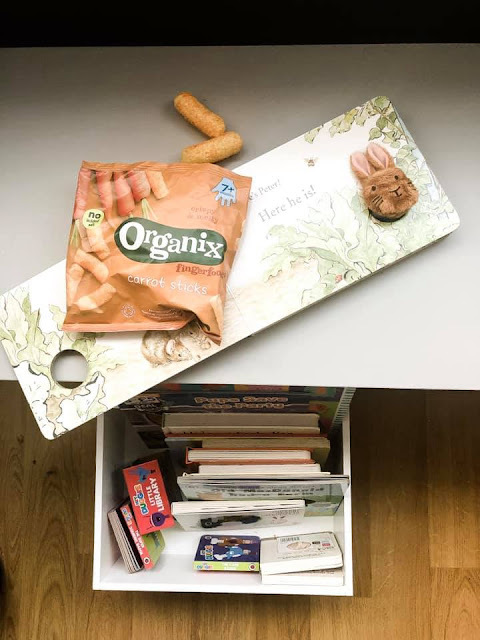 We have loved using Organix for Rupert's snacks lately. Carrot puffs and Banana Ring Biscuits are our favourites for days out and visiting family. Sainsbury's have the biggest range of baby foods that I know of. I love shopping there for all of Rupert's foods. 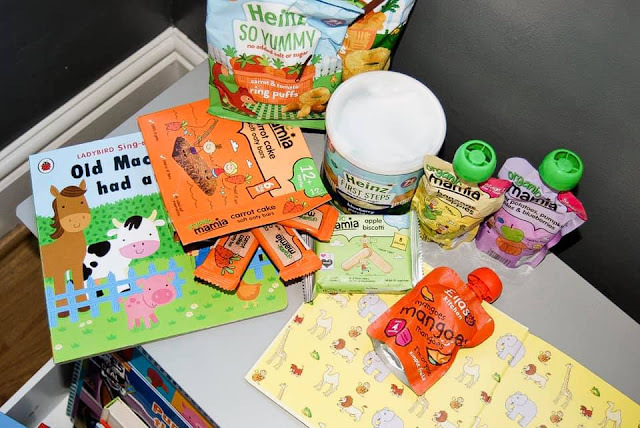 Little One's I find always have the biggest range of flavours and foods. They tend to venture out of the usual flavours such as Apple and Banana and add flavours such as Guava and Kale. Since starting formula we have used Cow & Gate, we have never had a problem with them and love using their porridge and baby foods. I have never been able to find a huge selection of their foods, but we have enjoyed what we have found. 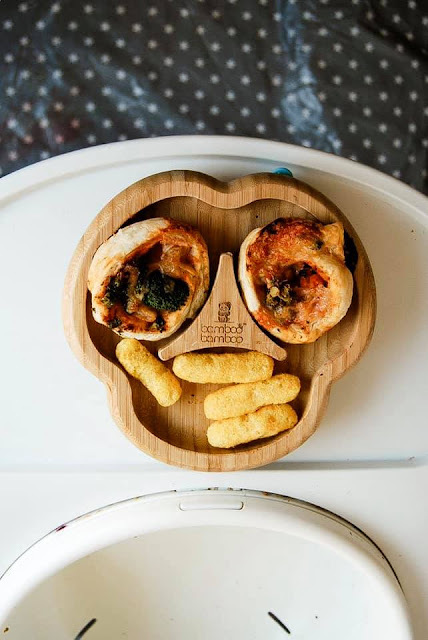 Pintrest always has amazing ideas and recipes for Weaning. 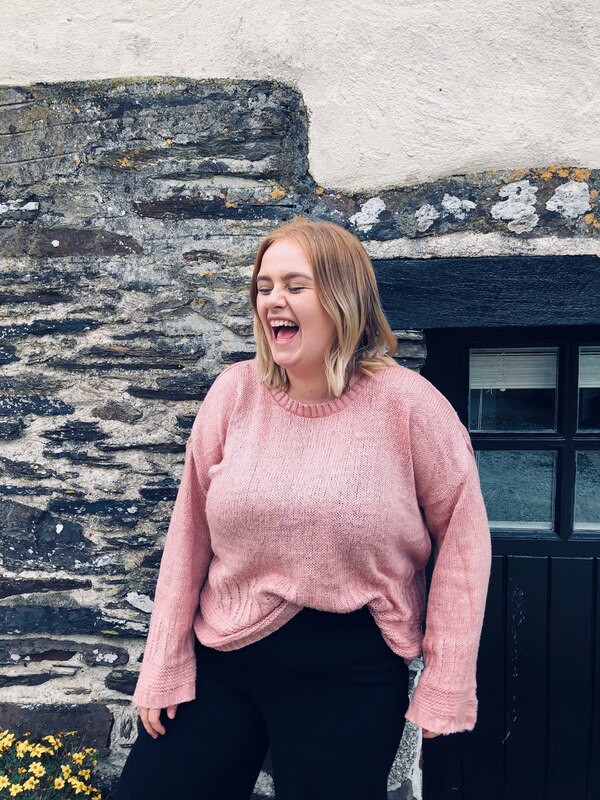 There are also a huge range of weaning Instagram feeds that you can follow for inspiration. Rupert is now at his weaning stage of eating what I eat. He will eat Pasta, Jacket potato and a long list of other foods. We know he likes to feed himself and is happy to do so, we always top him up at the end with yoghurt or puree as a lot of it still ends up uneaten. I also batch cook and freeze foods which are full of veg or fruit that can be easily cooked on evenings when he can't eat the same as us. From day one we used Tomme Tippee spoons as they were small and gave a small amount of food to Ru with each spoon. As he has gotten older we use the Ikea baby and toddler spoons, these are larger and the perfect size for Ru's mouth. For Plates and Bowls we have always used the 'Bamboo Bamboo' suction wear. These are fabulous because Ru can have three sections for different foods, (usually fruit/veg, yoghurt or puree and finger foods) and he can feed himself without flipping the plate all over the floor. 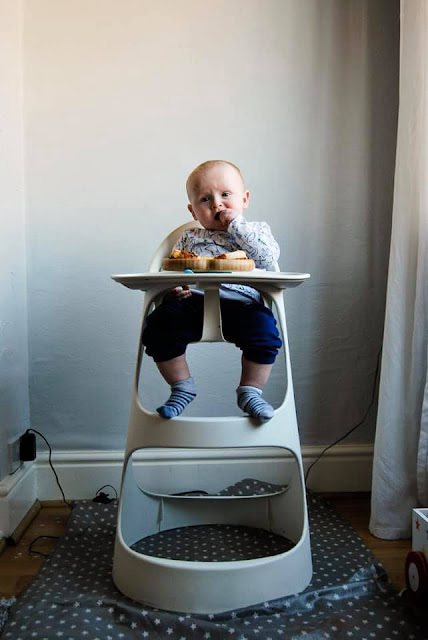 We have used the Ikea high chair, (no longer being sold) that was gifted to us by a family member. It is very easy to clean and Rupert is very comfortable in it. Before Christmas I was gifted a wonderful Weaning Mat by Messy Me that helps with the tidy up process of weaning a baby. I think this mat is wonderful, it allows me to clean up the mess quickly and is easy to wipe down. I never have enough time to clean after Ru has eaten because he requires so much attention, this just makes everything that little bit easier. As I have mentioned before Rupert eats what we eat, within reason. I always make sure to add extra fruit and vegetables where I can to make everything as nutritious as possible. He has purees still and is very happy with a yoghurt. Only recently has he started eating what we eat (around the eight month mark). We chose to do it like this as purees, yoghurts, soups and blended meals were always a struggle and fight with him, He always wanted to feed himself. Breakfast 8am - Two Petit Filous yoghurts, Fruit such as a strawberry chopped into four, Half a slice of toast with dairy free butter or a crushed berry to act as a Jam. Lunch 12pm - Two Crackers with a thin slice of Cheddar Cheese Mild, Fruit or Veg, Snack such as Aldi Carrot Puffs. Snack Between 3pm/4pm - Two slices of Apple or Banana. Dinner 6:30pm - What we are eating. His favourite is Pasta in Passata with Pepper, Mushrooms, Cherry Tomatoes and Cheese. Shredded chicken with fried rice and veg. This list will gradually increase as he tries new foods and meals each week. This Post involves gifted items, please go to my disclaimer page for more information. I found weaning so exciting but we did purée and it’s so much easier now he eats basically anything (apart from when he’s being fussy) makes life a lot easier when out and about! 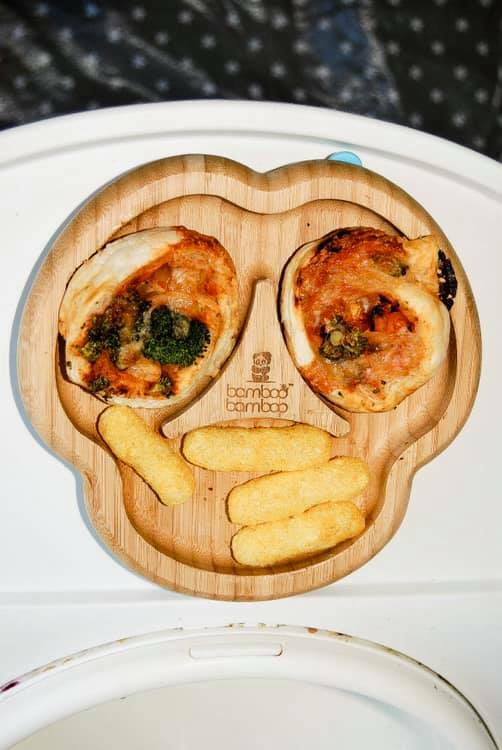 It's so good that he likes such a variety of foods!